What's dirty is clean again. Now Saget is doing another about-face: making his Broadway debut as the quixotic Man in Chair in the hilarious musical-within-a-musical, The Drowsy Chaperone. On his way to Maryland to perform a final stand-up show before the Drowsy run begins, the 51-year-old single dad called us to chat about humor and crossing the line. Your publicist said you're driving right now. Are you driving yourself? No. I'm in the back of a limo. I'm being treated well. I'm not suffering at the moment. Fancy. Do you still put your pants on one leg at a time? I put them on the way everyone else does—over my head and head through the zipper. I put my arms through the legs. Do you ever scratch your chin on the zipper? Yes, that's why they call me a zipper neck. [Pause] I'm sorry, I'm not my funniest right now.... But I'm relaxed! It's cool. Could you please defend filth? That's interesting, isn't it? I don't think of filth as being funny, I just find funny funny. The stand-up I've done over the past ten years is more like, "Here's opposite day!" Here's a guy that looks like your next-door neighbor or your dentist. I don't defend filth, I'm just not a big censorship lover. I don't think there's any reason why people shouldn't say what they want to say. But then Drowsy, which I love, is basically G-rated. Or maybe PG. And I just think it's exceptional. If Man in Chair got in a fight with Danny Tanner, who would win? Probably Man in Chair because, just in terms of weapons, he has a lamp and Danny has a DustBuster. I think Man in Chair's equipped with many more levels of a personality. But then, sometimes simpler is stronger. Oh, like Danny Tanner has simpleton strength? Danny Tanner has two levels to him— he wants to clean and he wants to hug, and those are not even internal mechanisms, those are external qualities. You just have to look at your family with love, do some cleaning and hug—that's the character. Man in Chair is agoraphobic; he obviously has some huge issues with his mom and with lack of understanding or being around humanity. Oh, and one's on a sitcom for 12-year-olds. I won't ask you any pervy Olsen twin questions, although I'm sure you get them. That's nice of you. I've been on the radio and guys will say stuff, and it's like, "Hey, you want me to do jokes about my daughter?" They're not my daughters, but it's kind of like they were. The other question people always ask is, "Did you ever think they would rise to this greatness?" Yeah, when they were three months old and I was diapering them on the show I definitely knew they were going to be on lunch boxes and have their own line of clothing and a film studio. Were you playing a character on America's Funniest Home Videos? I was doing me at one year into Full House, so I was still in tap-dancing-for-the-Man mode. But was it hard to push your edginess to the side? A little bit. If you watch some of the old ones, I really did get away with a lot of dirty or weird, edgy crap. I would say things like, "Here come some clips, spewing in your face." Is there anything that, humorwise, is over the line? I don't like stuff about throw-up. And I just don't want to do anything that's cruel. I don't like cruelty andI don't like poo. Wait, you don't like poo or you don't like throw-up? I don't like either, really. I don't mind talking about it. Well, I won't talk about throw-up but I'll talk about poo. Why not throw-up? It just turns your stomach? It's a good question. I'll mention it for about a quarter of a second, I'll say the word yak, but I'm not a lover of it. The power of suggestion is just too great. 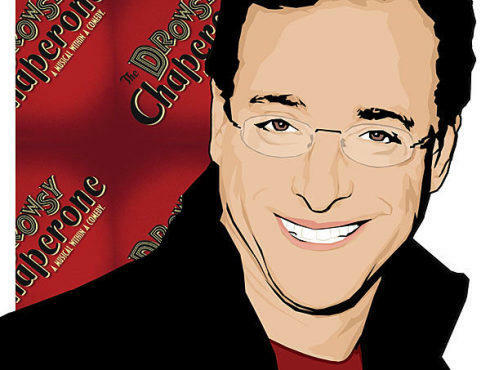 The Drowsy Chaperone featuring Bob Saget is now playing.